Foodies all over the globe agree that taste is one of our most enjoyable sensations. But along with taste comes digestion, and without proper digestion, we can’t enjoy our food. A gastroenterologist, or GI, diagnoses and treats diseases related to digestion. This includes anything along the digestive tract, such as the stomach, appendix, intestines, and colon. In general, GIs step in when things go awry in response to the consumption of any liquid or solid. Because digestion is essential to our ability to get the nutrients we need to live, gastroenterologists play a vital role in many people’s lives. Let’s take a brief look at how to become a GI before we delve into the types of health issues they treat. Preparation for diagnosing and treating the digestive tract takes roughly 13 years. The journey starts with getting a bachelor's degree in science from a four-year college. From there, an additional four years in medical school is required, as well as a 3-year residency to learn about internal medicine. 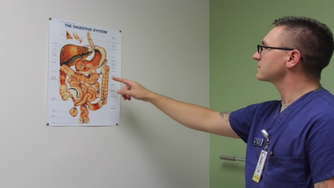 Afterward, medical students are ready to narrow their focus to just gastroenterology. During this 2-3 year period, budding physicians will get hands-on experience at a clinic or hospital under the supervision of a trained gastroenterologist. Then students will be ready to earn their gastroenterology certification from the American Board of Colon and Rectal Surgery. Those that succeed can start practicing medicine on their own. Gastroenterologists must diagnose and treat a wide range of possible digestion issues and conditions. The following list is comprised of some of the more common occurrences. Recognizing those common symptoms and diagnosing the corresponding illness is difficult and one of the reasons for the high education requirement. Gastroenterologists can further sharpen their practice by choosing a field to specialize in. For example, GIs may opt to focus their attention on treating ulcers or hepatic diseases. Specialization may lead to higher salary in the long run.